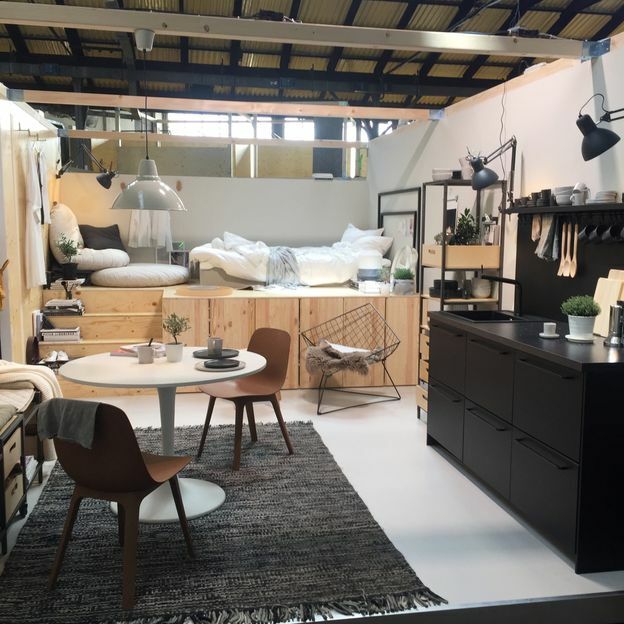 Ikea took over an entire warehouse in the Lambrate District, and it was a joy to walk through. I especially loved the design and organization of this tiny studio installation with its sleek black kitchen unit and bed accessed by a bookshelf-stair. I could live here, and in so many places that fired up my imagination in Milan.